<p> Trash is a compelling read. The action is riveting and the secret codes throughout will appeal mystery fans - SchoolLibrary Journal, starred review <br><br> This gripping book engages readers both as an adventure and as a social justice story. Readers will be satisfied by the cinematic conclusion and the noble decision the heroes make. - Publishers Weekly, starred review <br><br> The three boys, and others, act as alternating narrators of the story, giving vivid descriptions of their lives. In spite of this, the boys' hope and determination for justice and the dilemmas they face with so much courage will impress readers. Recommended. - Library Media Connection<br><br><br> From the Hardcover edition. Andy Mulligan was brought up in South London. He worked as a theatre director for ten years, before travels in Asia prompted him to retrain as a teacher. He has taught English and Drama in Britain, India, Brazil and the Philippines. 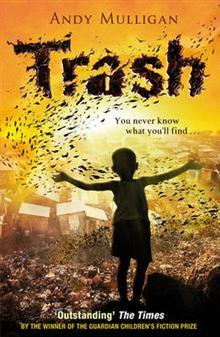 Andy's novel Trash has been published in twenty-two languages and will soon be a major motion picture directed by Stephen Daldry and scripted by Richard Curtis.